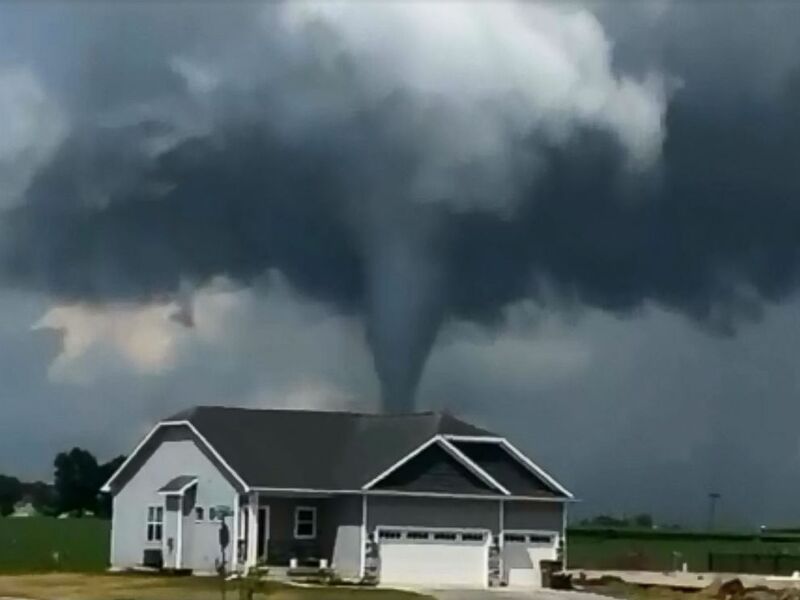 Iowa, which usually averages about seven tornadoes in the month of July, saw 27 reported twisters rip through the state Thursday night, damaging buildings, overturning cars and rupturing gas lines. Add Tornadoes as an interest to stay up to date on the latest Tornadoes news, video, and analysis from ABC News. 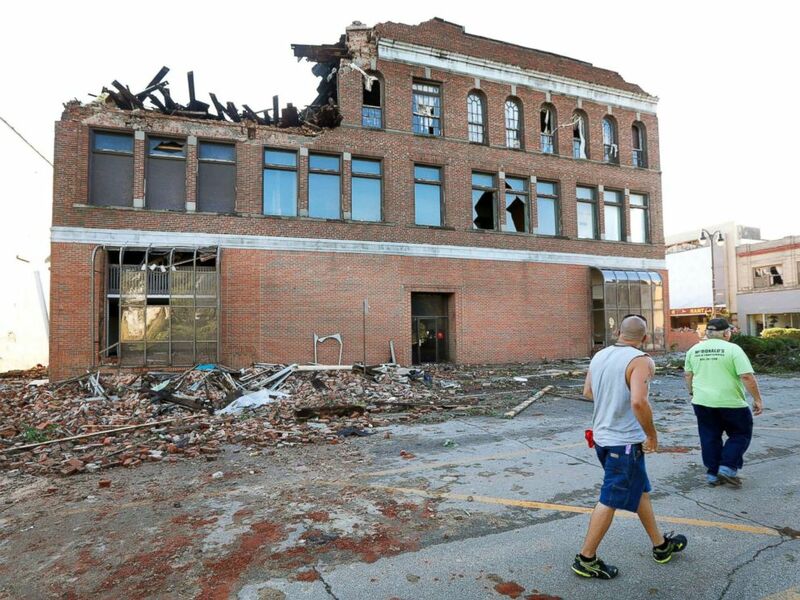 Marshalltown, Iowa, suffered major damage, including to its police department and City Hall, while the Vermeer Plant in Pella took a direct hit from an apparent tornado. 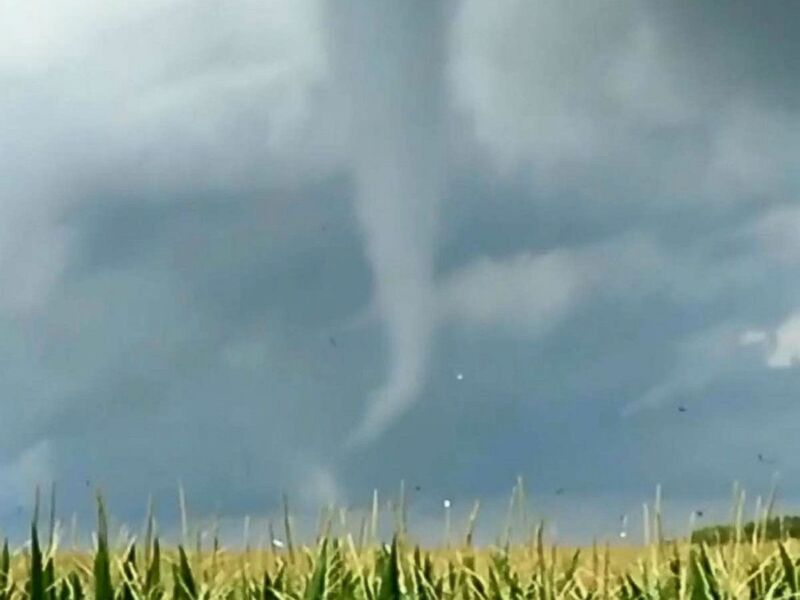 Staci Klaas posted a tornado in Iowa, July 19, 2018. 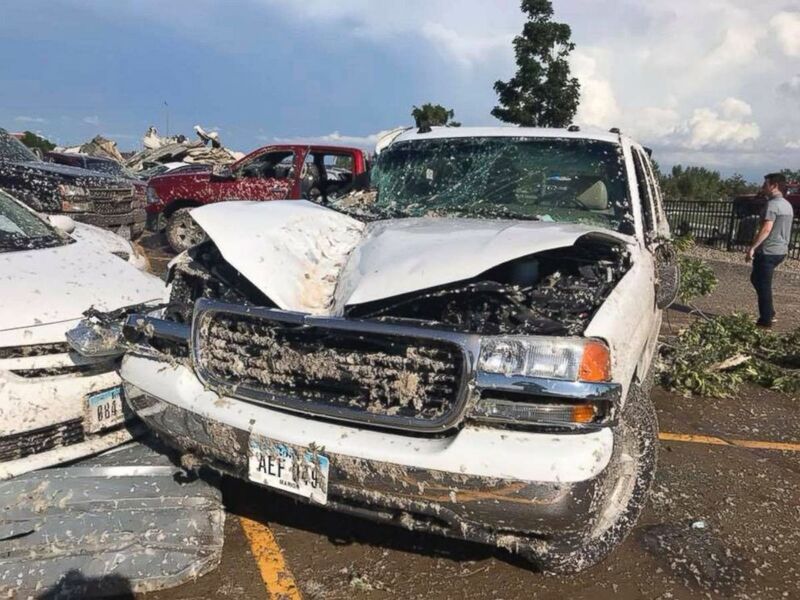 Bryan Young posted this image of a damaged truck due to heavy winds and tornadoes in Iowa, July 19, 2018. 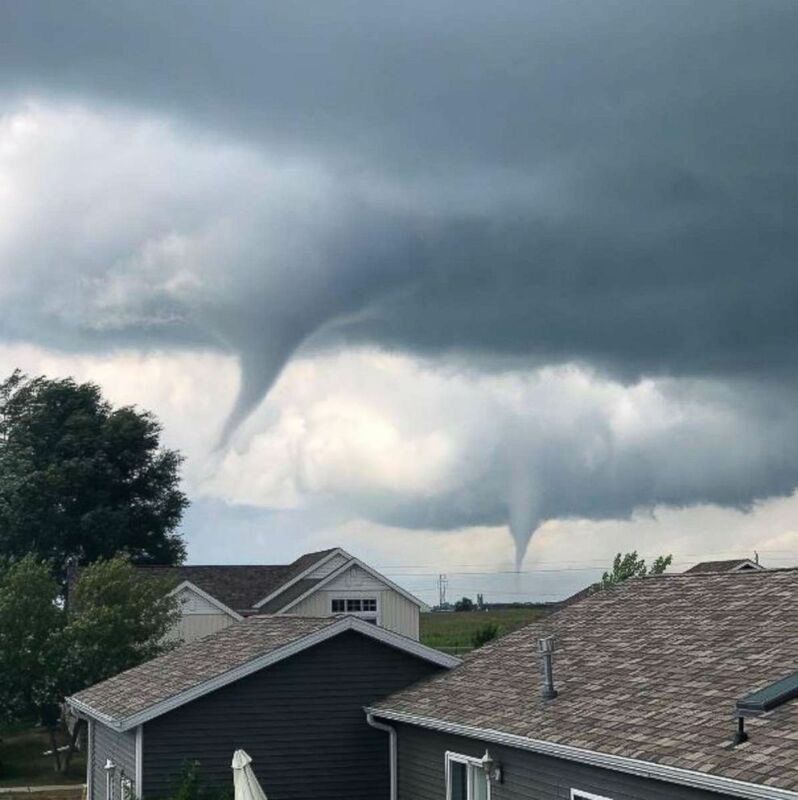 Two funnels were seen in Iowa July 19, 2018 and posted to Instagram. Tanner Urich posted a video of a tornado in Iowa, July 19, 2018. 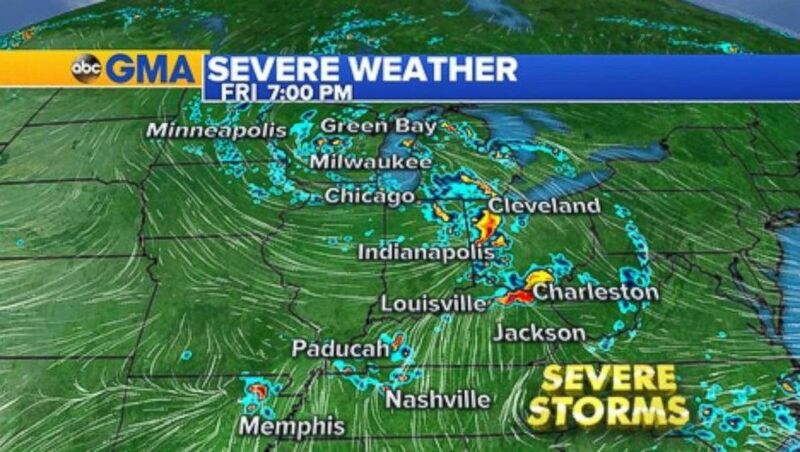 "Devastated to see the destruction from today's severe storms & tornadoes," Iowa Gov. Kim Reynolds tweeted. "Praying for all Iowans impacted & for the emergency management crews responding tonight." The governor is set to tour damaged towns Friday. 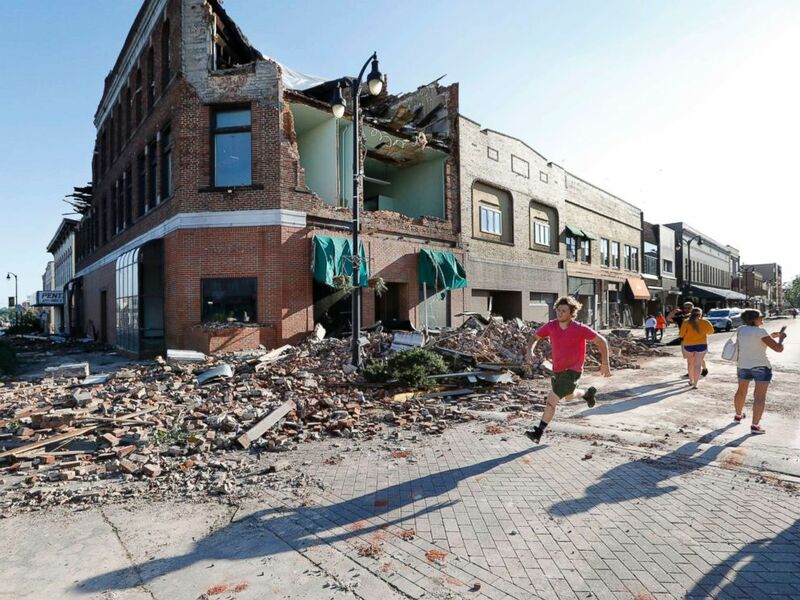 A local resident runs past a tornado-damaged building on Main Street, July 19, 2018, in Marshalltown, Iowa. 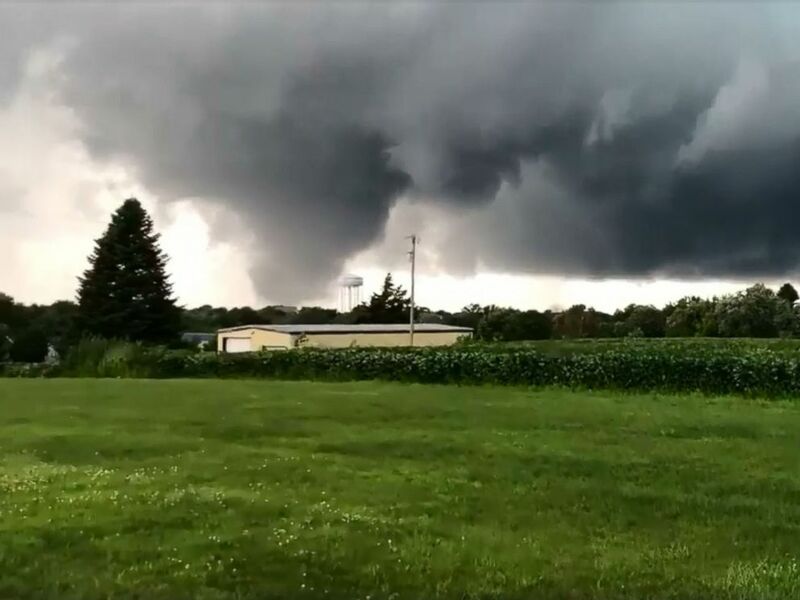 Since the severe weather outbreak began Wednesday, there have also been two reported tornadoes in South Dakota and a reported tornado in Minnesota. The National Weather Service will be conducting storm surveys Friday to confirm these tornadoes and issue an intensity rating. A video of a tornado in Iowa, July 19, 2018 was posted to Instagram. Local residents walk past a tornado-damaged building on Main Street, July 19, 2018, in Marshalltown, Iowa. Friday marks the third day of the multiday severe weather outbreak. 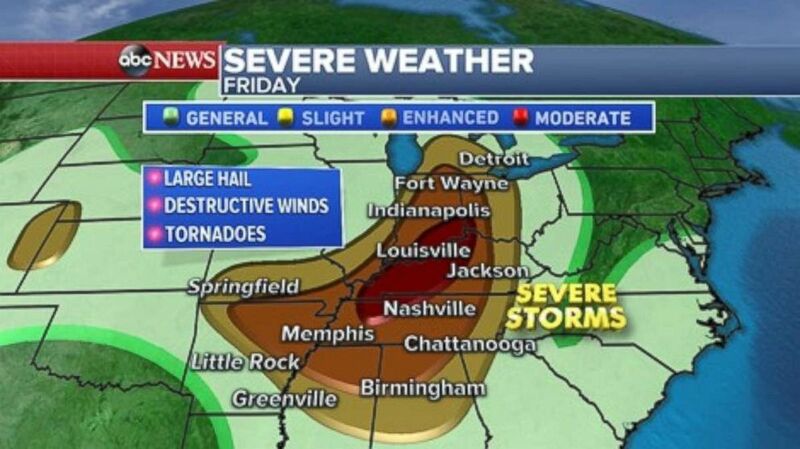 Over 35 million Americans are at risk for severe weather Friday, which is expected to be concentrated in the South and Midwest, including major cities like Birmingham, Alabama; Nashville, Tennessee; Louisville, Kentucky; Indianapolis and Detroit. Storms are expected to fire up in the Ohio and Mississippi River valleys Friday afternoon and evening, and any slow moving storms could produce flash flooding. GRAPHIC: Severe weather map for July 20, 2018.